Kurt Herrmann - Art - 2018 Auckland Art Fair, Auckland, New Zealand represented by 12 Gallery. Center Wall ( "Maybelle" and "Pollenator"). Both works 48 x 48", acrylic on canvas. Color Bombs. The work of Johnny Romeo is on the left. 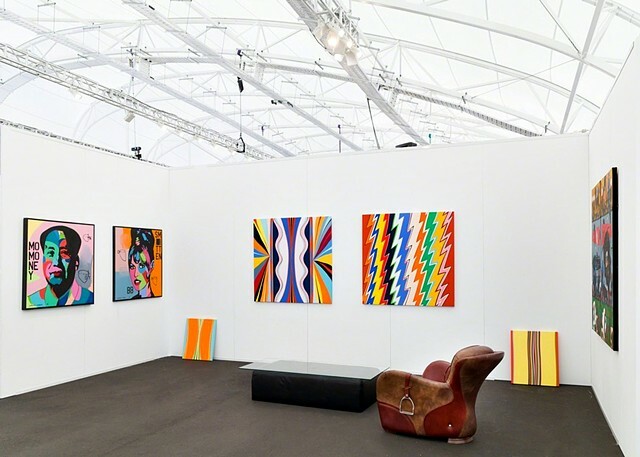 2018 Auckland Art Fair, Auckland, New Zealand represented by 12 Gallery. Center Wall ( "Maybelle" and "Pollenator"). Both works 48 x 48", acrylic on canvas. Color Bombs. The work of Johnny Romeo is on the left.